"Teenage Mutant Ninja Turtles Guide To The Universe is a role-playing game supplement to the Teenage Mutant Ninja Turtles and Other Strangeness game. 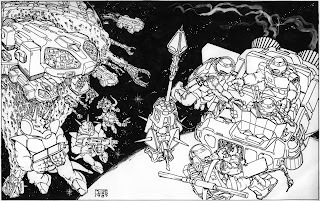 It was published by Palladium Books in 1987 and uses the Palladium Megaversal system." 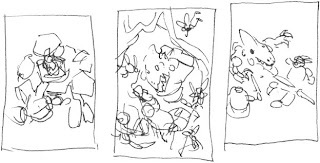 Over the years, I have tried -- generally successfully -- to save a copy of everything I've drawn. 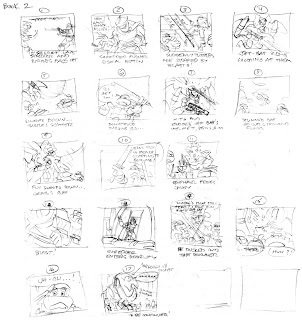 Sometimes they are just tiny scraps of paper with tiny, scribbly drawings on them, drawings that most people would probably just chuck in the wastebasket (and rightfully so). 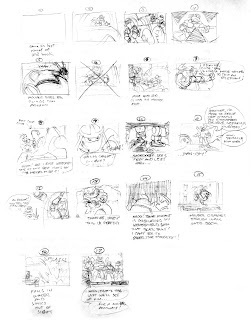 But every so often I run across something that reminds me of the process that one goes through in creating a drawing for, say, a comic book cover. 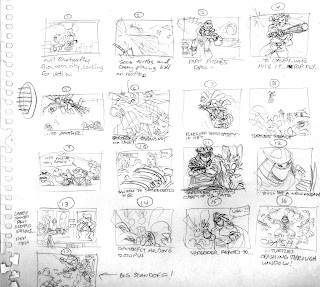 I'm not sure how I got the job of doing these pencil roughs for the mini-comics that were packed into boxes of the "Teenage Mutant Ninja Turtles" cereal from Ralston-Purina -- possibly Kevin was busy or wasn't interested, or maybe I thought it would be fun and volunteered. Who knows? It's been so long, and it happened during a crazily busy period for Mirage and the Turtles.